Forrest aka Mr.Kitty has risen to success very quickly as a young artist and for good reason. Anyone who has seen him play live knows that he is a talented musician (a craftsman of some of the best emotionally charged synth-pop around), a producer, a remixer who turns anything he touches into solid gold and a performer with so much energy and intensity that you never know just what might happen live (yes, he climbs up on tables and speakers). 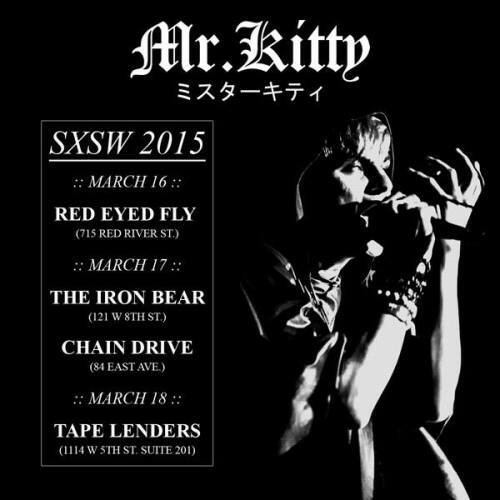 NVR MND’s EA catches up with our feline friend as he prepares for this year’s South by Southwest Festival in Austin, Texas where he now resides. EA: First off, congratulations on your recent engagement! Have you set a date yet? How did you meet? MK: I think there was a glitch on Facebook that made that notification appear. We’ve actually been engaged for a while, but we don’t have a day set. We met at a show that I was playing in Dallas. EA: How are you liking living in Austin? Do you feel at home? MK: Austin is pretty great. There are a lot of opportunities for music, but there is a over saturation of talent and it’s very easy to get overshadowed if you don’t work hard to stay relevant. I don’t feel like I truly belong here though. Europe is calling. EA: How are you enjoying all of your success? MK: It’s nice to get recognition for what you work hard for. It keeps me awake. EA: What was the biggest show you played so far and how was that? Were you nervous? MK: I played an English goth festival called “Infest”. There were so many goths and it was really intense. I’ve never been in a space with so many people that were so enthusiastic about the music that they love. Being nervous isn’t a part of my programmed behavior. EA: What’s your current live performance gear rig? MK: KORG microKORG, Tascam DP-006, Roland VT-3, TC-Helicon Harmony-M, Behringer XENYX 502, Yahama QY-70. EA: Why gear over computer? MK: Computers are boring and have no souls. Synthesizers have spirits trapped inside that need to be freed. EA: How do you navigate around all of that equipment so nimbly? Does it ever get overwhelming live doing it all yourself? MK: I love not knowing what I’m doing on stage. Being stressed out is a part of the performance. EA: How do you feel your music and song craft is progressing? MK: I’m finding out what is working for the fans and focusing on keeping those elements, but also introducing new things as well. It’s becoming simplified for the most part, I guess. EA: You have a new single out called Entwine. What’s it about? MK: Two lovers that have a relationship that is falling apart, but only realize that they only have each other in a world of danger. EA: Where do your song ideas (lyrically) come from? MK: Universes of romantic fantasies and other realms inside of my brain. EA: Your love for anime is pretty well known. What are your all time faves? MK: Neon Genesis Evangelion, Ghost In The Shell, Serial Experiements Lain, Sailor Moon. I’m not really into the stories most of the time; I just really like the art. EA: What’s next for Mr.Kitty? MK: I’m playing a show with COVENANT on April 5th at The Avalon in California and I’m currently working on a new album, so things are a little hectic. I’m hoping a nap is in my near future. 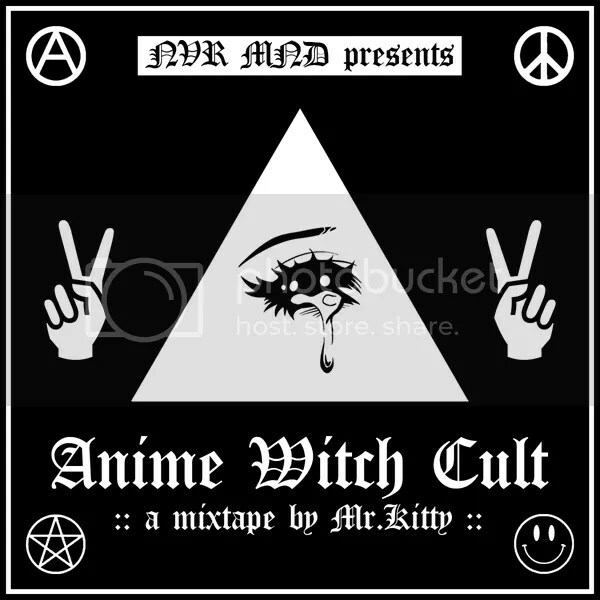 EA: Thank you Mr.Kitty for taking time to catch up with us and for your choice mixtape for our NVR M1X series!